Home Downsizing Solutions by The Sierra Group LLC are professional home buyers. We offer a hassle free, stress free way to sell your house as is, for cash, on the date of your choice. Hi. My name is Ben Souchek. 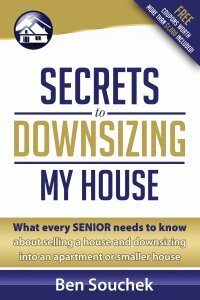 I’m with Home Downsizing Solutions by The Sierra Group. 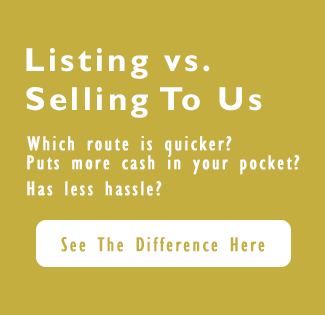 I have worked for the last 20 years to provide the easiest, fastest, most convenient way to sell your house. And in the past several years, I’ve focused on individuals that want to downsize from a house that they maybe owned for 20, 30, 40 years into something that is a better living accommodation for them. Just some of the benefits that I can offer to you, you won’t have to … If we buy your house, you won’t have to worry about showing your house, having strangers walking into your house, having people tell you that you need to update your house in multiple ways. You won’t have to worry about sellers and have home inspections, and want you to do updates, or inspectors that tell you that updates need to happen for your house, and one of the biggest benefits that I can offer to you is the ability to transition into a new house at your convenience. We can even possibly buy your house, and allow you 30, 60, 90 days to transition into your new home. So again, we make it very easy. We try and be very flexible to accommodate you, so that you are in control of the sale of your house. Thank you very much. If you have any questions, if I can help you in anyway, please call us toll free 855-291-5005. That’s 855-291-5005. Thank you.